The Parish Council is funded from a proportion of our parishioners annual Council Tax bill. It was therefore thought worthwhile to highlight the achievements of the Parish Council over the last few years. There are constraints to the budget, but, our aim is to maintain, where possible improve the appearance of the Parish, promote appropriate community ventures and ensure all legal requirements are met. In 2017 the undertaking to create a new website for the Parish Council was started. The original website had become outdated, was difficult to update and maintain and was not very user friendly. Along with our chosen website provider (Profitable Websites Ltd), a design was chosen and the long process of populating the site begun. The result is a modern efficient website which is easy to navigate and which holds a huge amount of information on Parish matters. Speeding is an issue in probably every Parish in England and ours is no exception, made more difficult as we have a major road (A281) running through it. Trying to change a speed limit can be an extremely long winded, expensive process with no guarantee of success. However, it has been proven that other methods at reducing speed can be possible. One of these are village gateways which reinforce the point that the driver is entering a village environment and that speed limits need to be adhered to. 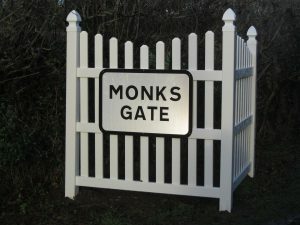 Village Gateways have recently been installed on the A281 and Nuthurst Road. Copsale is programmed for 2018/2019 with the other hamlets in the Parish to be reviewed thereafter. You may have noticed the “Ten Circular walks in the Parish” that recently appeared on the website, this was an initiative highlighted in the Parish Plan. 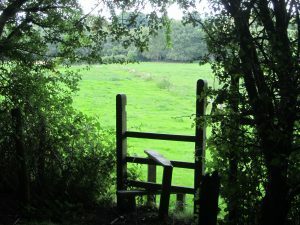 Detailed maps can easily be downloaded and the walks are proving extremely popular and well used. Although no funding was required it has been included here to show that it is possible to create something of benefit to the community with no funding. 1000 bulbs were purchased, 800 were planted on the green between Church Road and Lime Kiln Road and the balance have been planted at the entrance to Masons Field and beside the recently erected Village Gateways. These should come into bloom in Spring and visually enhance our Parish. Further planting is to be programmed for the rest of the Parish. 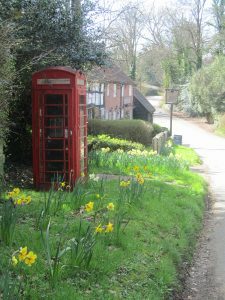 Part funding was supplied to Nuthurst Society for their plan to adopt and convert the phone kiosk in Maplehurst into a book swap store for the community. In previous years we have relied on one of our parishioners at Maplehurst Farm, who very kindly volunteered to distribute hippo bags of salt to various locations around the Parish. These locations are included in the Winter Management Plan which the Parish Council annually submits to WSCC. This year, permanent green salt bins have been purchased and stocked with salt by WSCC. Through a historical agreement, 35 lighting columns within the Parish are maintained by the Parish Council and these had to be replaced to meet new EU standards. WSCC kindly replaced 23 under the PFI agreement and subsequently 10 more have been replaced by the Parish Council. The remaining two are programmed for replacement in 2018/2019. The wall around a mature Oak tree a the entrance to Gagglewood was damaged early in 2017, the Parish Council were unable to get anyone to take responsibility for the repair and subsequently arranged for the wall to be repaired. 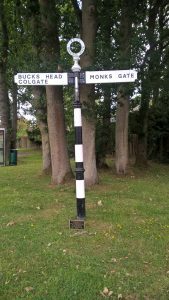 Six of the traditional black and white fingerposts within the Parish were in need of repair and to mark the Queens Diamond Jubilee it was decided that these should be restored to reflect the heritage of the village rather than replacing them with more modern signs. Subsequently this work was arranged and the restored signs are now found around the parish. 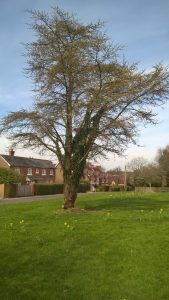 WSCC provide seven urban grass cuts per annum, to maintain the kept appearance of Mannings Heath additional grass cuts are often required in June/July, these are organised and financed by the Parish Council. Removal of brambles and ivy on two of the trees. 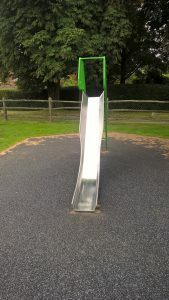 The Children Play Area has had several “upgrades” in the last few years. 1/ The “wetpour” was replaced in the “Fall area” around equipment. This specialist substance is used to reduce the risk of injury to children should they fall. 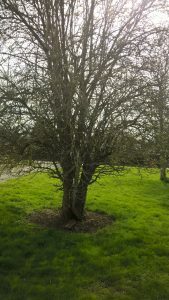 Every 4 years a tree survey has to be commissioned by the Parish Council to evaluate the health and possible risk of the trees that border the Village Green. In addition, regular maintenance has to be undertaken to treat against Bleeding Canker and Leaf Miner. Various organisations are the recipients of annual grants from the Parish Council. Theses are deemed to be of benefit and use to the Parish community. They are: St. Andrews Church, St. Andrews School, Mannings Heath Cricket Club, Heartbeat, AGE UK Horsham, The Link. In addition to the above, one-off grants may be made to help pay for work within the parish.